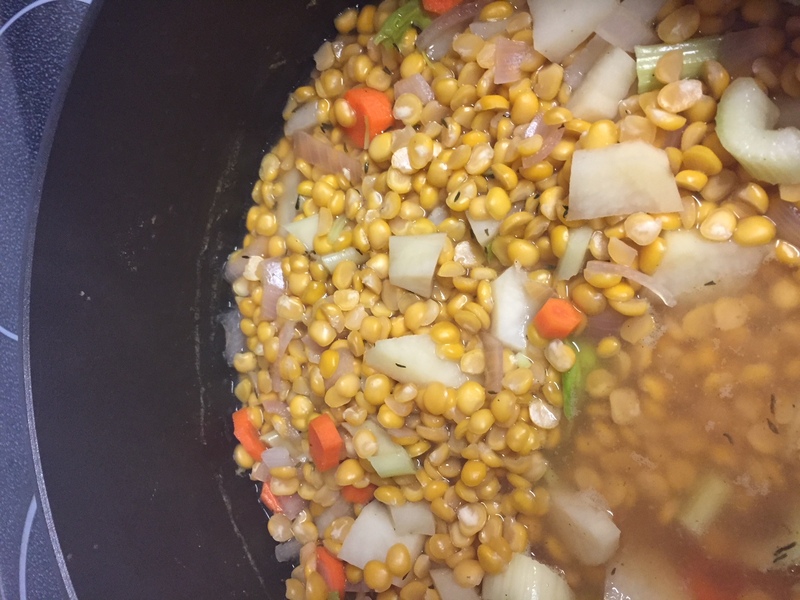 The week was a blur, but I remember a big pot of turkey-vegetable soup, along with a batch of yellow split pea soup. The split pea soup was very simple. It was yellow split peas (green work, too), onion, potato, a carrot, celery, water and boullion cubes. I always add a little thyme, salt and pepper to the mix. After it cooked down, it was smooth with a few chunks. The turkey vegetable was simple, too. It was made from frozen chunks of turkey, broth, onion, carrots, celery, green beans, and a pint of crushed tomatoes. There was water, salt and pepper, of course, and Italian seasoning. That one turned out great as well. We ate both of those soups many times for dinner and lunches. Rob took some in his lunch, along with other items. 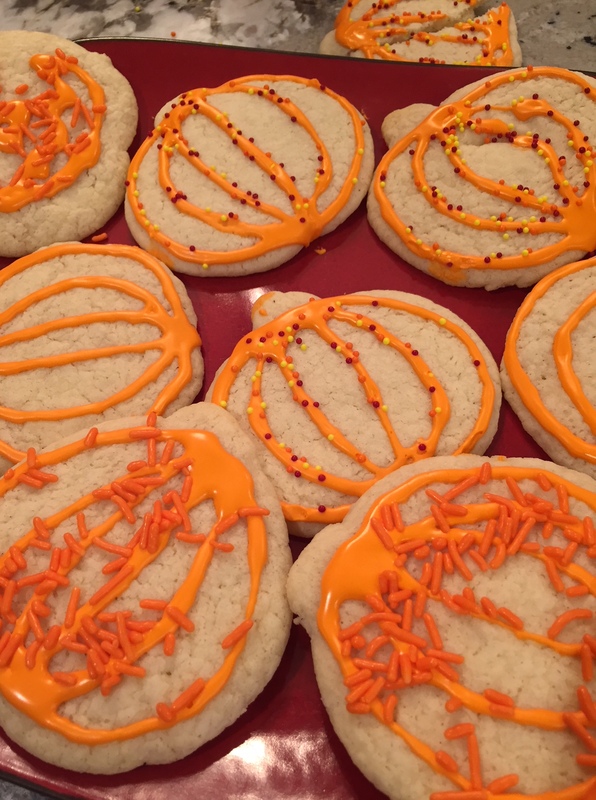 On Halloween, my sister made a taco bar, and I made some cookies with the kids. There were a couple of times when the Portland Trail Blazers scored over 100 points in a game, and the McDonald’s app offered a Sausage McGriddle for free. So, we got a couple of those. I can’t eat them, but others can. When Rosalie, my sister, Ja’Ana and I took little Danait to McDonald’s to play while her mom studied citizenship with her tutor, we used the buy one, get one free Happy Meal coupon off the app. Rosalie and I got to enjoy Harnet’s yummy food back at the house, but Ja’Ana and Danait ate the Happy Meals. Mostly, we were looking for a dry, fun place to let some of the wiggles out after the library storytime we went to, and I think she had fun. I know we did! It was really quite comical to see 3 of us chase 1 little dynamo!! I did make the same marinated chicken I made last week. It was good, simple, and quick! And, I had all the ingredients on hand. It used up the rest of the package of buns I had, and everyone enjoyed chicken sandwiches this week. I made mini blueberry muffins, and we ate some and took the rest up to add to the lunch at Harnet’s. We ate them with coffee. I can’t forget the coffee…..that deserves a sentence of its own:) I showed her the coffee-making post, and we found a small error in my description, so I will be fixing that soon. She enjoyed seeing it, and I’m glad. It’s a big deal to me to post someone else’s story and I wanted to make sure it was correct. 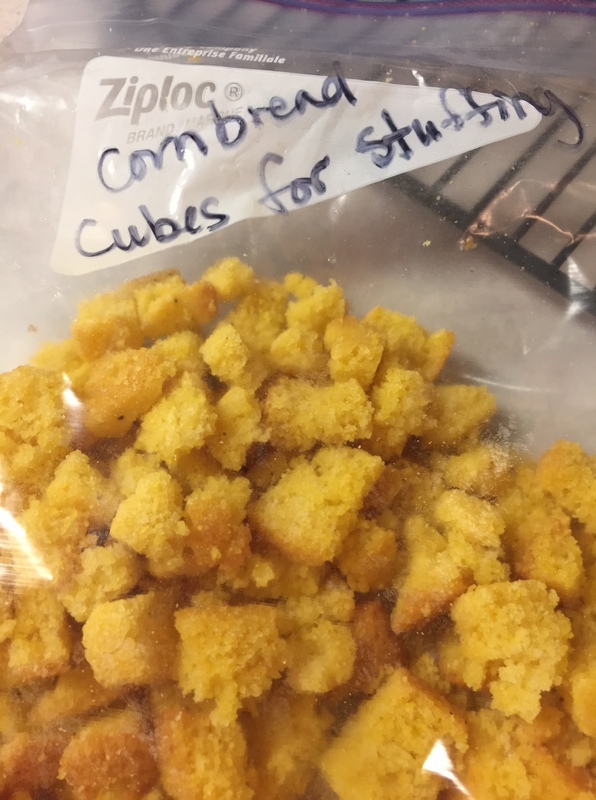 Ja’Ana made another batch of cornbread, and I cubed and toasted about 1/2 of the pan and froze it for Thanksgiving stuffing. I want to have as much ready ahead of time for the big day, as I am super busy during the days before the holiday. My favorite post of the week! Why is it so fun to look at what others eat? I wish it was okay to wander around in restaurants and see what everyone i eating but I guess that would be too Mr Bean(ish). I am ready for some cold weather and soup but it is still quite warm here but should not be. We made it through the week at the lake on the food we had and even brought some home. I am glad to be back to my fully stocked pantry! When we go on a little trip, we always end up buying so much food while we are there. I don’t know why, I’m just a stock-up kind of girl, I guess:) So, we bring a bunch home. You do better than I do with that! I always think other people’s food looks better. Ask poor Rob! For 35+ years, I’ve been taking a bite off his plate at restaurants to see how good his tastes. 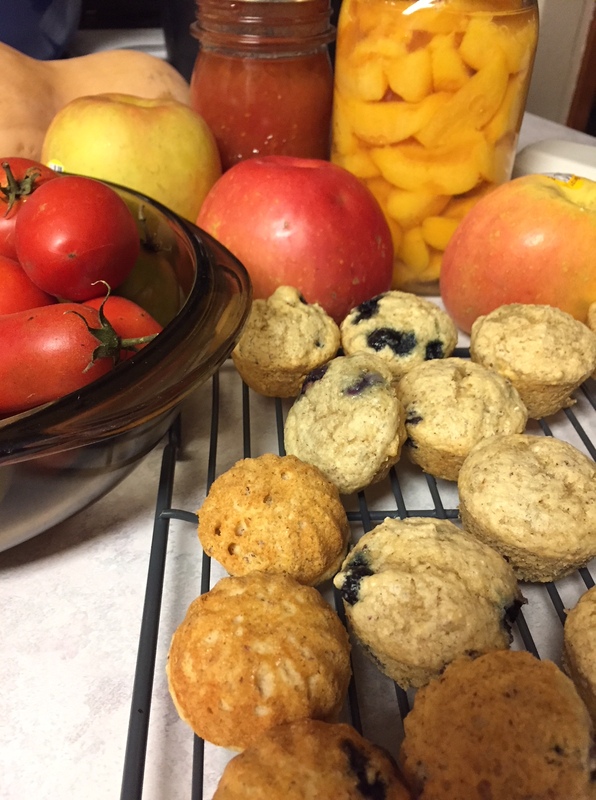 Until…..I became gluten-free, and some foods were safe from me! He actually doesn’t mind. Yes. It’s time for me to pull out the soup makings again. Still warm here but thinking about it has put me in the mood. The weather changed here. Yesterday was downright cold. So, the fire and soup have both been welcome! Loved that first picture with all the apples, canned fruits, and muffins! Just speaks of bounty, right there! Your soups sound wonderful! Nothing warms one up better than a bowl of soup! Thank you. I’ve been bringing in a few jars at a time and thought they were pretty, too.